Today I found about a dozen small (3 inches or so) cucumbers in my garden… perfect for pickles, but not enough of them to bother with canning. 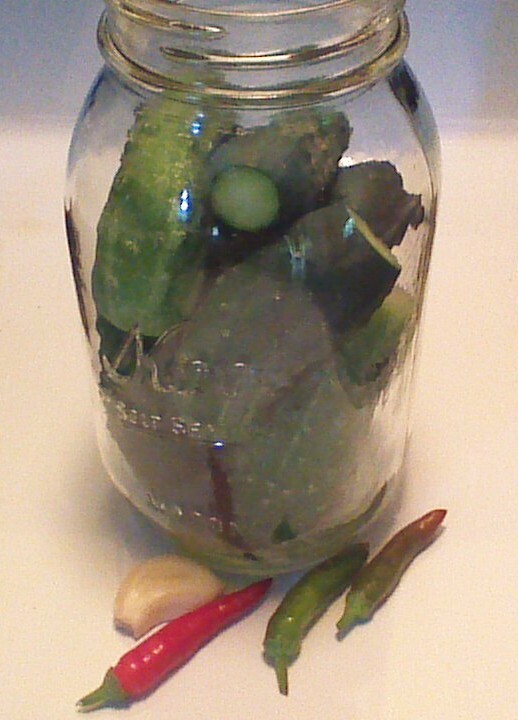 Instead, I quickly made a quart of Refrigerator Pickles. In one week, they’ll be crisp and delicious. Try a jar today! Step 1) Wash cucumbers and slice 1/8 inch off of each end. 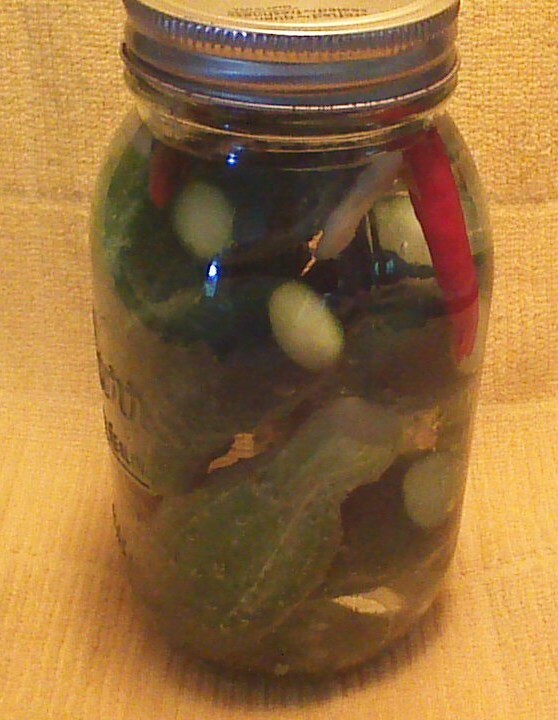 Pack cucumbers in a clean, quart size jar. Step 2) Crush garlic with the flat side of a knife and add garlic to the jar. Step 3) Slice hot pepper lengthwise from the bottom, leaving the stem end in tact. Add hot pepper to the jar. 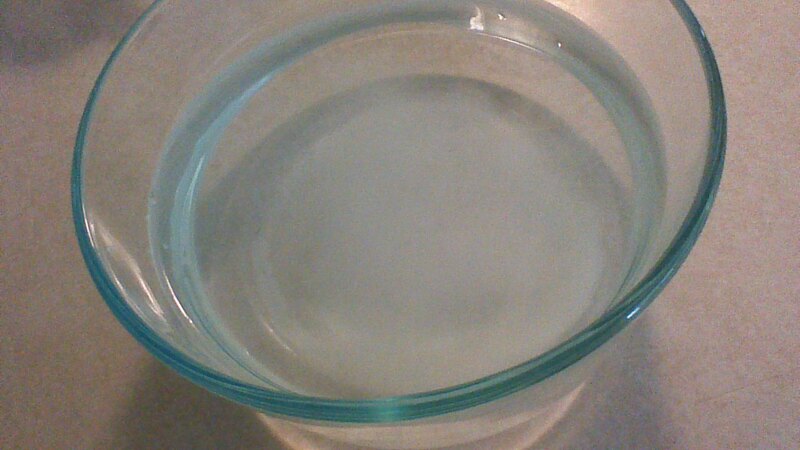 Step 4) In a small saucepan, bring water, vinegar, salt, and sugar to a boil. Remove from heat and carefully pour into jar over cucumbers. Cover and allow to cool before placing jar in the refrigerator. 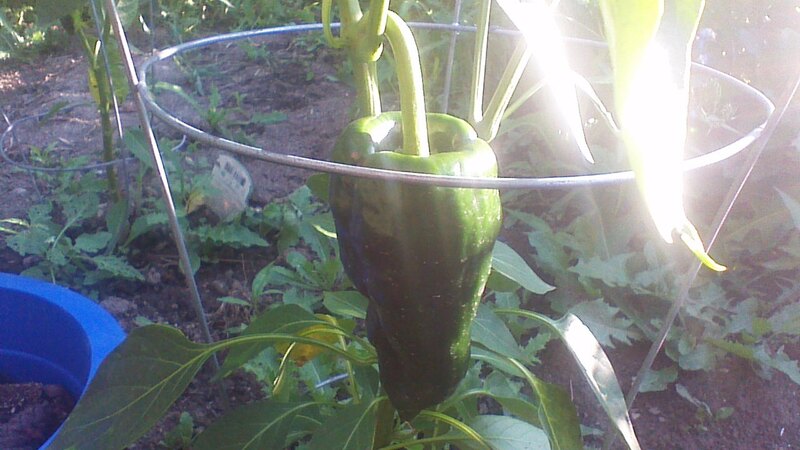 Moving into late July, my Northern vegetable garden has been growing for almost eight weeks. 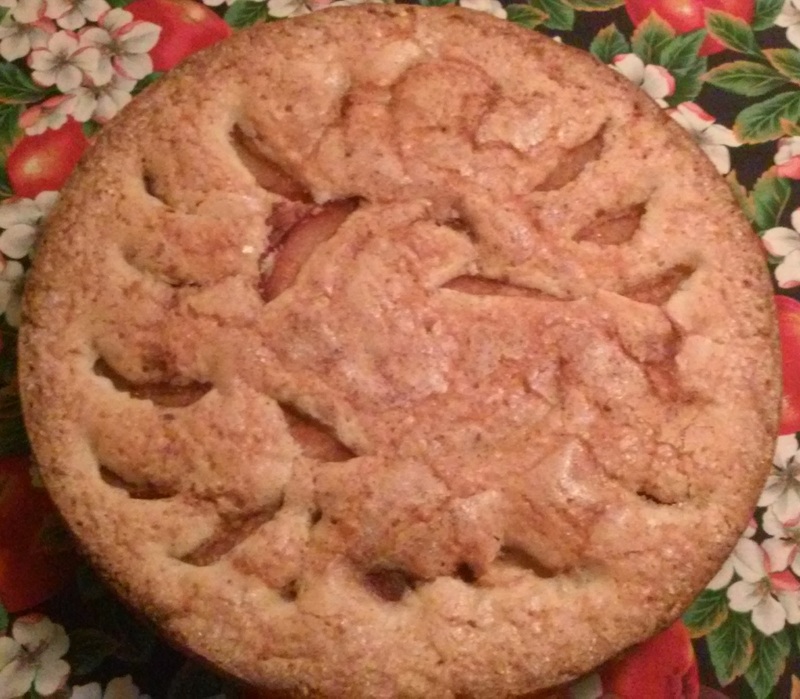 This means – finally! – the first vegetables are being harvested here at Crowded Earth Kitchen! Weather permitting, we’ll enjoy increasingly bountiful harvesting for the next six to eight weeks. So exciting! 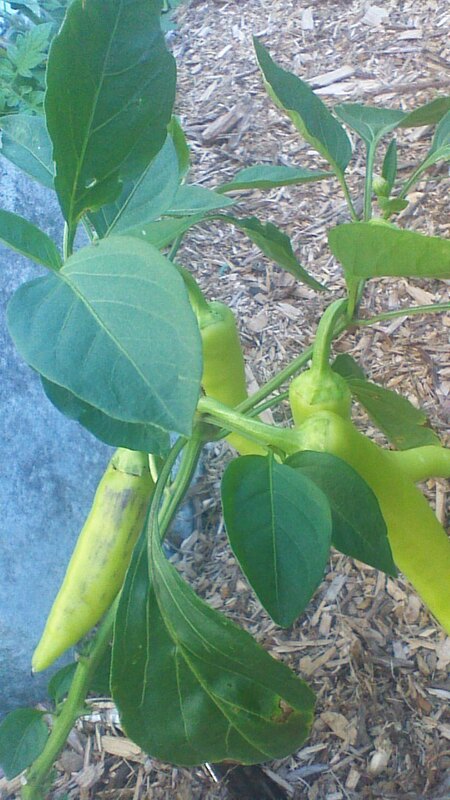 Banana peppers, always the first peppers of summer, are bountiful this year. 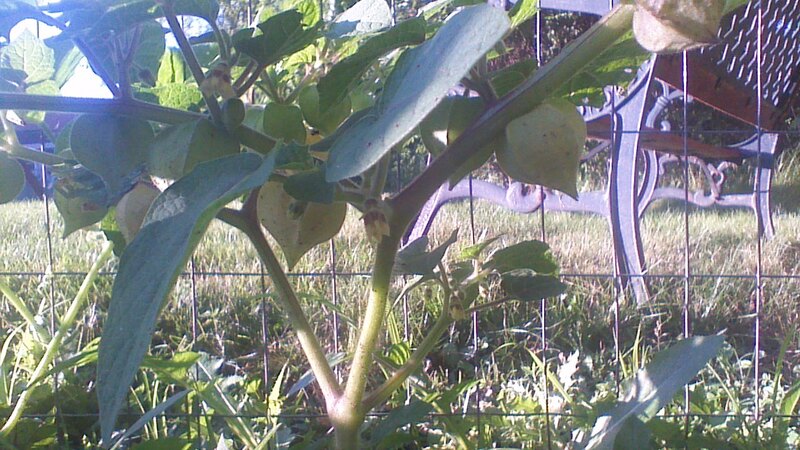 Ground cherries, a new garden addition, are coming along nicely. 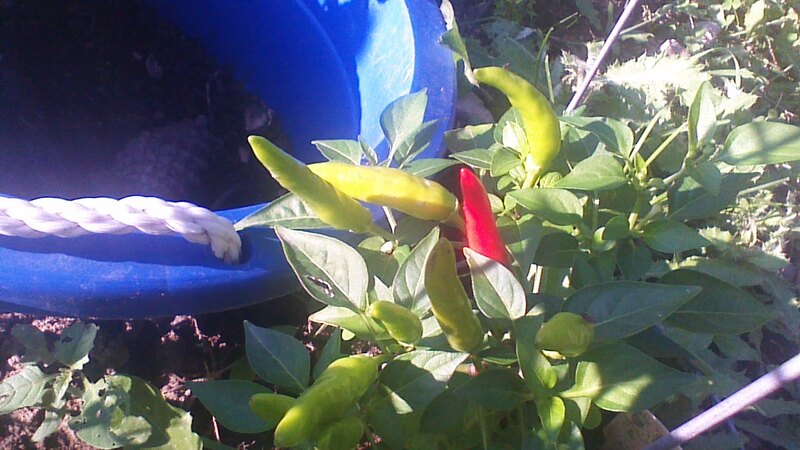 The first of the hot peppers are turning red! 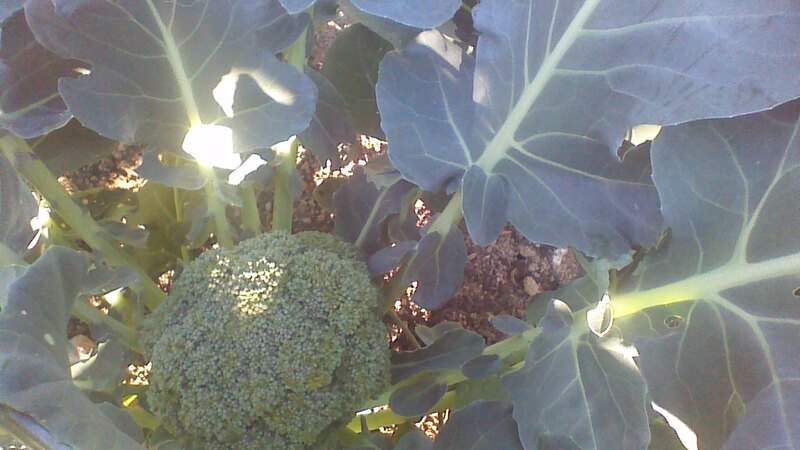 Broccoli heads are about six inches in diameter. 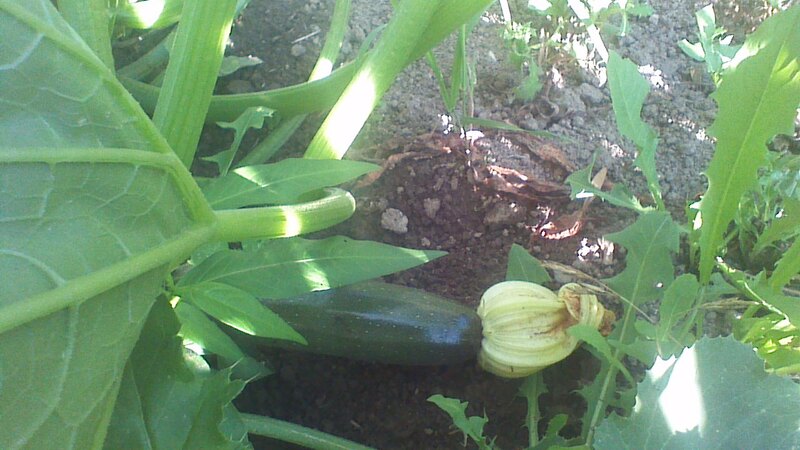 Zucchini are surprisingly late this year, but are finally growing strong. 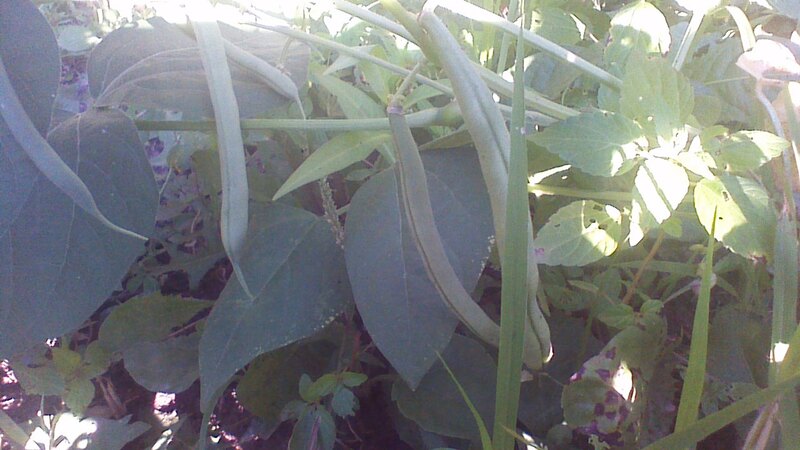 We’ve picked about two quarts of beans so far. 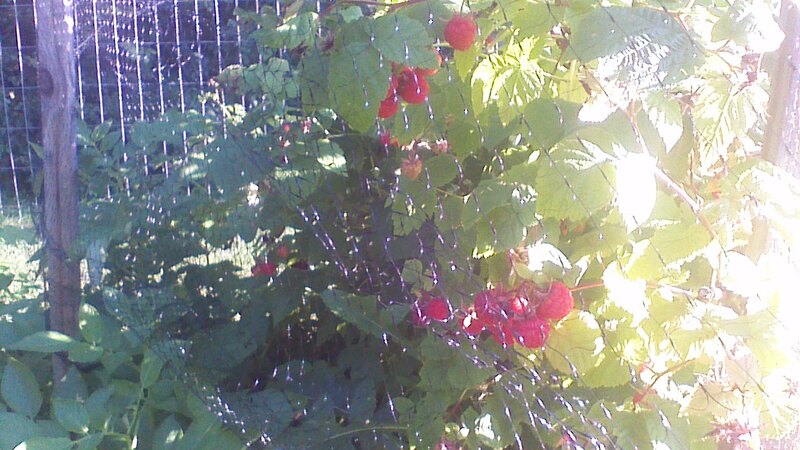 With a new net to protect raspberries from the birds, we’ve harvested a whole quart of berries so far. Happily, we’ll be able to pick again tomorrow! 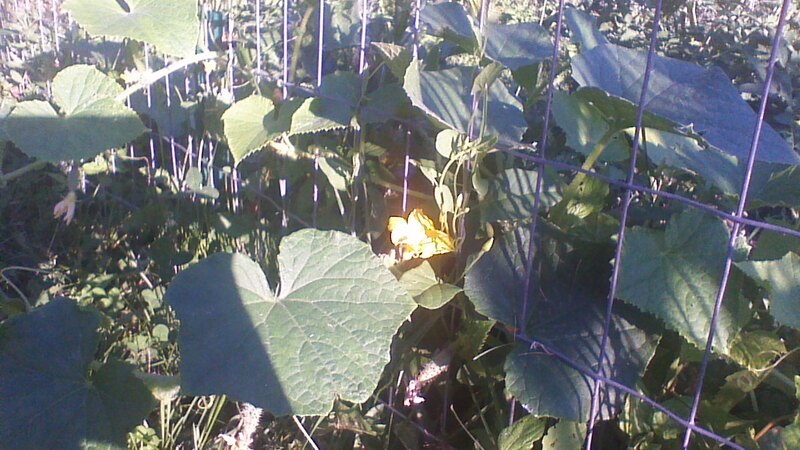 Cucumber vines are just beginning to produce. We hope to begin canning pickles in another week or two. 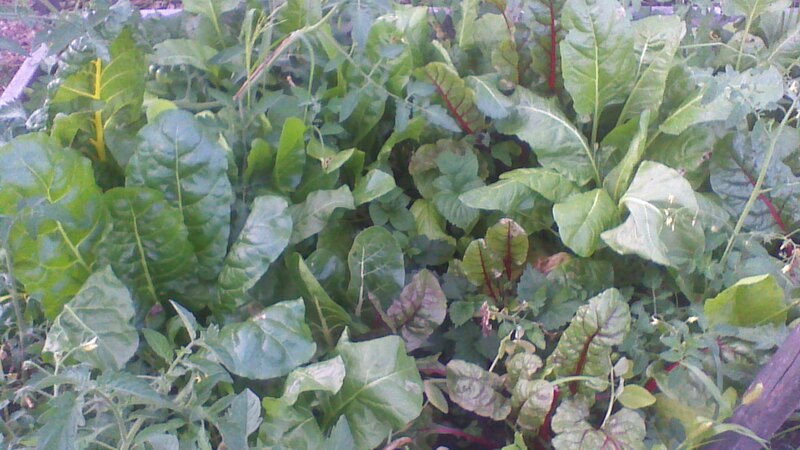 The greens bed has exploded with chard and kale. Self-seeded tomato plants are peeking through the chard leaves, and will offer a cherry tomato bonus in September.